The upcoming Intel Z390 chipset is designed for unlocked processors and could arrive in just a few weeks, at the Computex 2018 trade show in Taipei. However, the page containing the technical details was removed by Intel shortly after it became public, so the Z390 might get a few changes until its release. 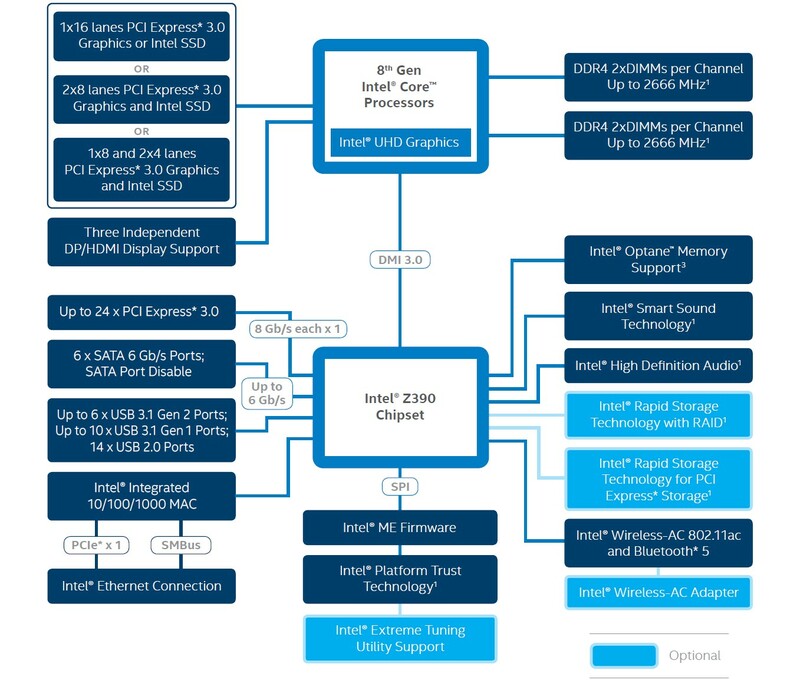 About a day ago, the full Intel Z390 chipset product brief has been posted on the official website of the half-century-old chip maker. Strange enough, it looks like this was not supposed to happen, because Intel quickly removed that page. However, we can consider this an official unveil, because it was not just an empty page that made it online by mistake, so now we should look forward to the launch that is expected to take place next month in Taipei, at Computex 2018. Some Z370 boards might feature some of the above, but they use third-party controllers to do that, thus ending up with higher price tags than a regular Z370 motherboard. "The Intel® Z390 chipset and 8th Generation Intel® Core™ processors give you the edge you need to successfully defeat your rivals. 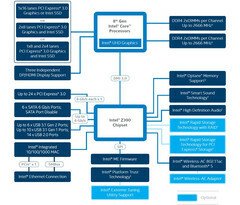 Quickly upload and access your favorite streams and get the gaming boost you need with Intel® Turbo Boost Technology 2.0 and Intel® Hyper-Threading Technology (Intel® HT Technology)," reveal the marketing materials that made it online, underlining that the Z390 is designed for unlocked processors. These being said, remains to see if Intel brings up the product page again, comes up with a press release announcing the Z390, or simply leaves us hanging until early June when Computex 2018 kicks off and the new chipset should finally be shown to the public.